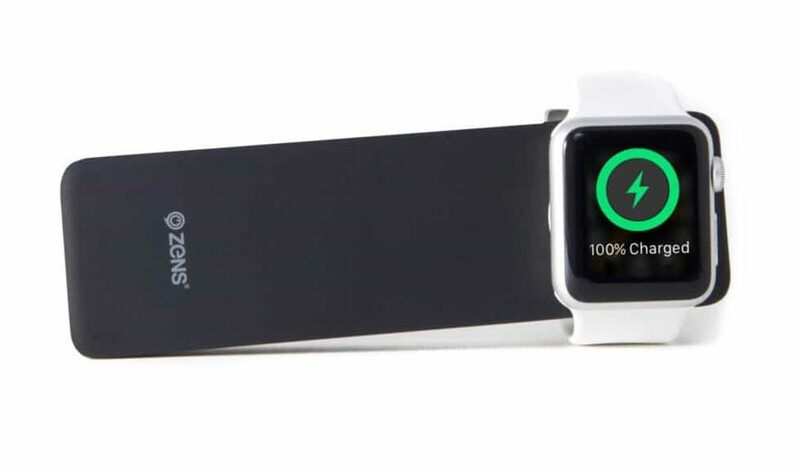 Zens’ iPhone/Apple Watch Powerbank has a 4,000 mAh capacity, which is good for two full charges of an iPhone 7. 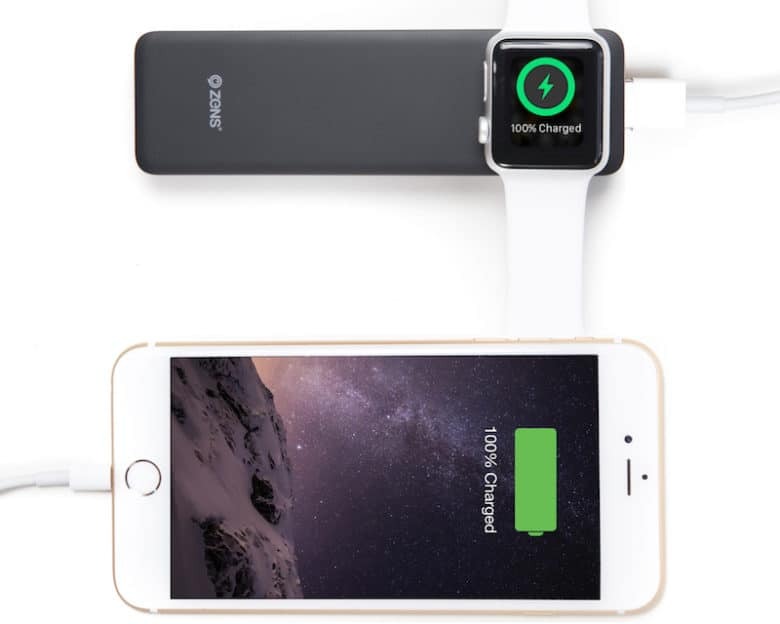 Designed by Zens, a Dutch company that specializes in wireless charging systems, the Powerbank is Apple MFi Certified and rated at 4,000 mAh. That means it’s good for two full charges of an iPhone 7 (which has a 1,960 mAh battery); 1.5 charges of the bigger iPhone 7 Plus (2,900 mAh battery); and about a dozen full charges of the 42mm Series 2 Apple Watch (which has a 334 mAh battery and is currently the biggest battery in the Apple Watch line). 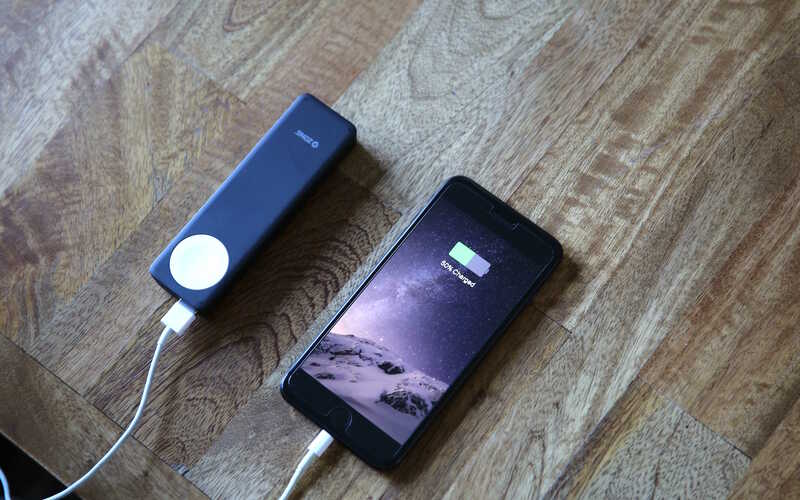 It has a standard USB 2 port for plugging in an iPhone or iPad and can charge both devices at once. The USB port outputs 2 amps. Zens’ Powerbank has a 4,000 mAh capacity. The Powerbank is strudy and well-made. It’s measures just over 5-inches long, slipping easily into a jacket pocket or laptop bag. It can double as a desktop charging dock, and is ready to go if kept plugged in. 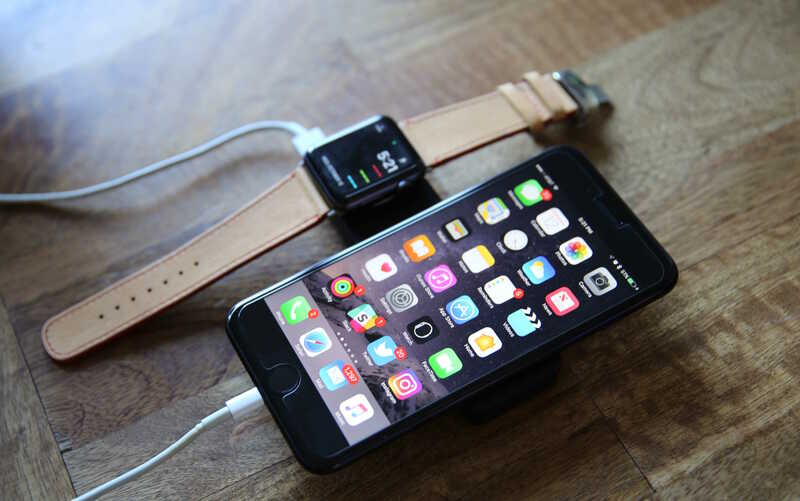 Overall, the Zens Apple Watch/iPhone Powerbank is a good two-in-one travel charger that’ll keep your devices topped up.